1. What happened to the first generation of Surface? Disclaimer: I certainly don’t know how the business and engineering decisions were made behind the scenes for Surface, but this is how I see things as an end-user of ultramobile subnotebooks, because I know business and engineering decisions on this scale couldn’t have been made lightly. Why Windows RT? This is the “glass half empty” bias: For some reason, commentators like to call Windows RT stripped down, crippled, half-baked, and so on. What exactly are they comparing Windows RT to, though? So let’s start from another tack. Do you know what iOS and Android are? iOS, a mobile phone OS, is based on Mac OS X and is extremely limited–you cannot install Mac software on it, the web browser is mobile-only without Flash, you can’t multitask in two apps at the same time, you can’t set up multiple user profiles, and so on. Android, which is based on Linux, isn’t much better–no Linux software, mobile-only web browsers without Flash, no multitasking, etc. A smart person will get the picture. Windows RT is more aligned against iOS and Android strictly in the “walled garden” sense and can never be fairly compared directly to any full-OS device. The fact that so many commentators insist on doing so is only a testament to their “missing the point,” to put it mildly; it’s true that Microsoft completely bungled any sort of message about the differences from the beginning, but we all hold tech geeks to higher standards and the ability to figure it out, right? The top-down approach to thinking about Windows RT isn’t going to work when you come from a Windows user background or an anti-Microsoft bias, obviously. So let’s go back to why Windows RT is closer to the iOS/Android space but actually sits between those mobile OSes and regular Windows. Consider why iOS/Android exist. Devices. What kind of devices? Mobile–ultramobile ones. Phones and tablets, pretty small. They were never intended to replace laptops but serve as a supplement, though 90% only for consumption and not for content creation. And what’s the most important aspect of those mobile devices? Windows mobile devices, usually laptops, have a dismal record when it comes to battery life; the operating system itself was never really optimized for mobile use until Windows 8, and Windows is built on x86 architecture for power-hungry CPUs from Intel and AMD, emitting heat from wasted energy and thus requiring moving fans and even more power to move those fans. Even the mobile CPU packages starting from the original Intel Centrino had to bear the weight of a non-optimized Windows OS and its related non-optimized x86 desktop software (though power-users like myself did enjoy the challenge of super-tweaking Windows XP on the earliest Transmeta machines). If I was an engineer and tasked to build a sub-2-lb tablet device that has a least a workday’s worth of battery life and is capable of content creation, where would I start? The hardware. A popular choice is ARM. This approach (whether that’s what actually happened behind Microsoft’s closed doors) makes sense to me because I’m quite familiar with the history of Transmeta/LongRun versus Centrino technology in the early bid to improve Windows ultramobile laptop battery life; start with the underlying hardware (and firmware). It’s obvious to me that Microsoft’s two Surface lines seek to address two different sections of what I’ll call the portable computing trifecta. Since I had followed the niche subnotebook engineering in this country and Japan as an end-user–before “netbooks” appeared–I learned about the engineering limitations of mobile devices. Much like the “project management triangle” or “triple constraint” (just do a search), there are three aspects of mobile design that are constantly in opposition: Mobility, Longevity, and Performance. You may have heard of a classic triple constraint like this: good, fast, cheap–pick two. Likewise, the laws of physics essentially limit mobile engineering such that the perfect combination of mobility, longevity, and performance is a fleeting goal. If you prioritize mobility (size and weight) and choose more powerful performance, the battery life will naturally suffer because you don’t want to install a larger, heavier battery to feed the more powerful hardware and software. 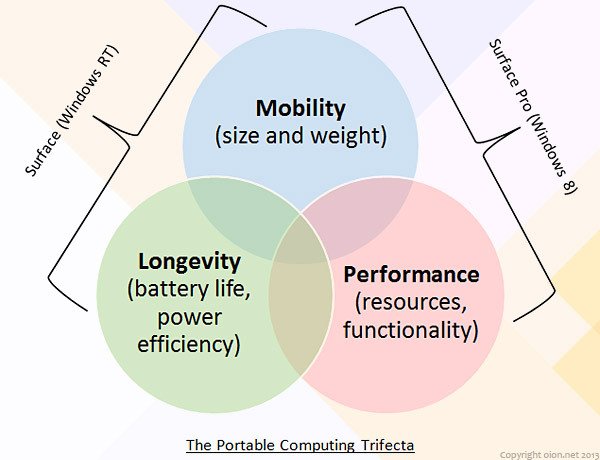 If you prioritize longevity (battery life) and want powerful hardware and software, you will need to include a larger battery to feed those resource-hungry variables and thus sacrifice mobility. And so on. From my point of view, the Surface RT line is clearly approaching the trifecta from mobility+longevity while the Surface Pro line is clearly approaching it from the mobility+performance angle. After all, users have different priorities when it comes to their devices; for me, mobility and longevity are more important than performance capabilities, as long as the device can handle my primary use case. ARM is a family of instruction set architectures for computer processors based on a reduced instruction set computing (RISC) architecture developed by British company ARM Holdings. at lower cost, providing higher processing power and improved energy efficiency for servers and supercomputers. According to ARM Holdings, in 2010 alone, producers of chips based on ARM architectures reported shipments of 6.1 billion ARM-based processors, representing 95% of smartphones, 35% of digital televisions and set-top boxes and 10% of mobile computers. The combination of power efficiency and low heat are extremely desirable in a mobile device; low heat also means no fans and the capability of fitting into smaller spaces without worrying about ventilation. But regular Microsoft Windows was not programmed to run in ARM architecture, only x86-class (Intel/AMD) architecture. PCs have been the mainstay of Microsoft’s Windows business for a very long time but the industry has seen decline in recent years as more and more consumers went for portable, low-power tablets; Microsoft and others including myself, however, have noticed how many users attempt to shoehorn these consumption tablets into the BYOD corporate model. One of my employers ended up buying a fleet of very expensive iPads for…email. But it turned out most people had to lug around their corporate Windows laptops to get any real work done anyway, as the iPad was seen only as a desperate last resort for managing corporate email, yet people would still bring their tablets along for fun-having due to portability. And thus, Microsoft saw a potential market niche (which they buggered up in their first gen marketing, but we already covered that): device consolidation. After choosing an ARM platform for ultramobility purposes, Windows would have to be reprogrammed and recompiled to run on it. There are, of course, limitations for both efficiency and security reasons, which is why Windows RT is not as full-featured as Windows 8. But to say Windows RT is “crippled” is the wrong mindset when battery life and fundamentally different hardware are the basis of a product design, in my view. As to why Microsoft chose to lock down the RT OS instead of allowing side-loaded apps, I expect those business decisions revolved primarily around security, but jailbreaking is a separate discussion. In general, the controlled “walled-garden” approach to app development means standardization for further app efficiency and security, whereas x86 legacy software are not programmed for touch-friendliness, resource efficiency, security, and new Win8 functionality like connected standby. Thus legacy desktop applications actually lower the tablet experience, and Windows RT on Surface is the purest Windows tablet experience you can get–which will only get better with the upcoming fully touch-friendly Office. Moreover, the walled-garden approach conceivably appeals to users already accustomed to that limitation (other iOS/Android users) and ultimately to users who desire more functionality in a low-maintenance platform. And Windows RT is low-maintenance compared to a regular Windows device because you don’t need to worry about installing a good antivirus that would further impact performance and battery life, nor reinstalling all your software after a reformat: You can sync both apps and general settings to SkyDrive so if something happens to your Surface, just setting up a new or reset Surface with your Microsoft Account means your previous settings and apps will be reconfigured for you automatically; this applies only to apps from the store, of course. People may point out that even from the mobility+longevity approach, the Surface RT’s battery life still isn’t as much as some iOS or Android devices. Another argument is that forthcoming Intel processors will be better with regular Windows 8 devices, negating the battery life argument and ARM approach, but we have yet to see these devices in the market, so that discussion is for later. From ground up, Windows RT is already significantly more than either iOS or Android; the more complex backend capabilities and platform power to run Office are, I presume, the reasons for lower battery life than certain other mobile devices that run only single-task apps. I never did formal tests with the Surface RT, as it regularly met my mobile battery life needs, but I did test the Surface 2, and the results aren’t shabby at all. Rather than thinking Windows RT is a crippled version of Windows 8, I see it as a highly capable mobile OS designed to run on ARM architecture in the smallest package for the type of functional battery life no regular Windows device can achieve without gaining weight, at least for now. We get multitasking capabilities out of the box. 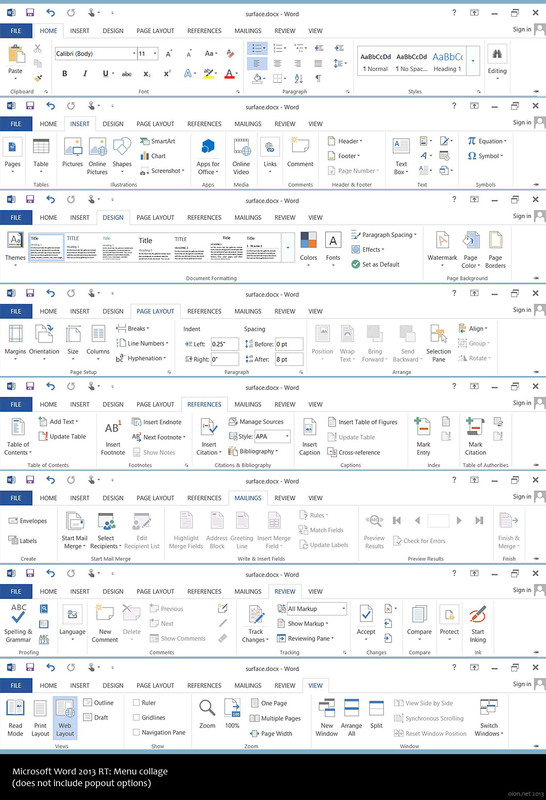 Even the “vestigial” desktop offers MDI (multiple document interface) capabilities for users like myself who like multiple windows on one desktop interface. Microsoft really upped the ante in the existing walled-garden tablet space by include a Flash-enabled web browser, which actually negates the need for nearly all “web service” apps like Youtube. And, of course, the inclusion of Microsoft Office is the real kicker. One of the most interesting complaints about Windows RT 8.0 and 8.1 is the existence of desktop. There are a couple different tacks concerning this complaint: First, its mere existence can be seen as confusing, especially since you cannot install regular desktop applications on Windows RT; there is certainly some merit in that argument, but not if the initial marketing and labeling were very clear about that limitation (this would be MS’ fault and the fact that official retailers’ salespeople were not properly trained to explain the difference). 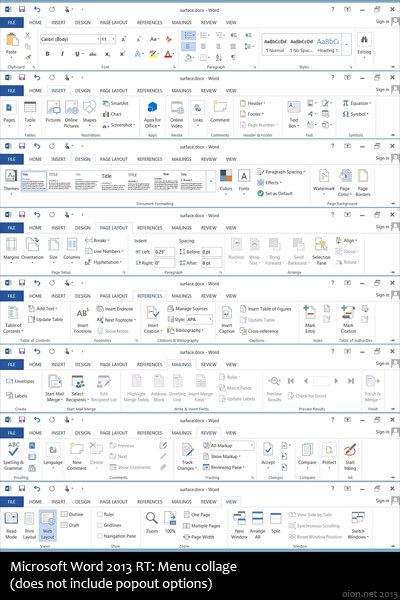 The second tack is that, quite simply, the desktop exists for MS Office RT, which is not designed around a touch interface despite having “touch-friendly” menus. 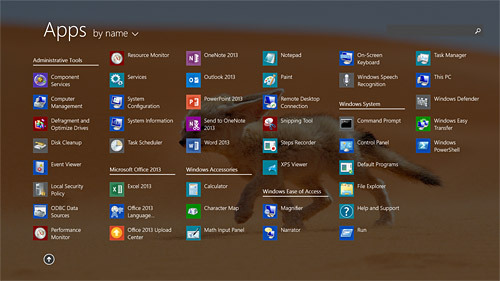 Gemini, the code name for the touch-enabled Microsoft Office, was not ready at the time of Windows RT debut in late 2012 and even with 8.1, Gemini will not be ready until sometime in 2014 or 2015. I’d rather Microsoft release the Gemini version of Office late and polished than otherwise, because it’s going to define the rest of the Surface (RT) line–Office is really the killer app (as much as I hate the phrase because Office is an application suite, not a mere app). From my point of view, there was nothing confusing about the existence of the desktop in Windows RT, though I already read about the “limitation” (exactly like the “limitation” of my iPad2, not a big deal), and I actually prefer that Office stay in desktop mode with the rest of the back-end administration tools that certainly aren’t touch-enabled, like CMD. Why? It’s a mindspace. 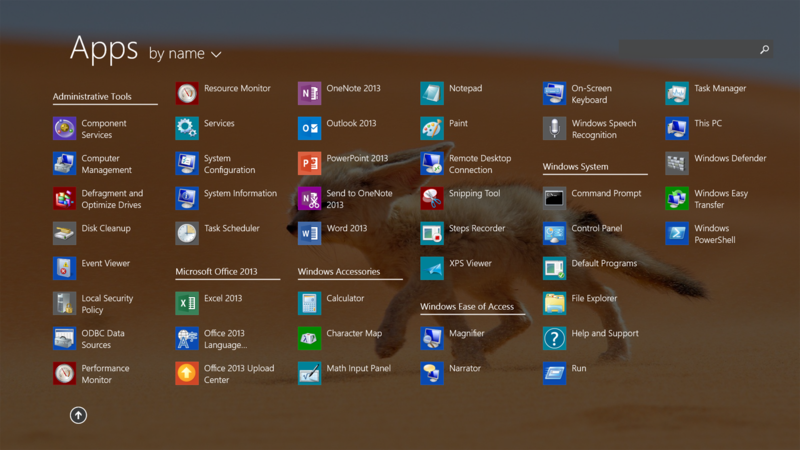 I use the Metro tile interface for games, general web browsing, media–mostly for play. When switching to the desktop mode for Office, I just as easily switch my mindspace to “get stuff done.” This isn’t necessarily just for work; writing this article isn’t for work, after all, but I’m “getting it done.” The existence of the desktop offers lower adoption resistance for Windows users like myself who are simply used to MDI, how to use the task bar and system tray, and so on. 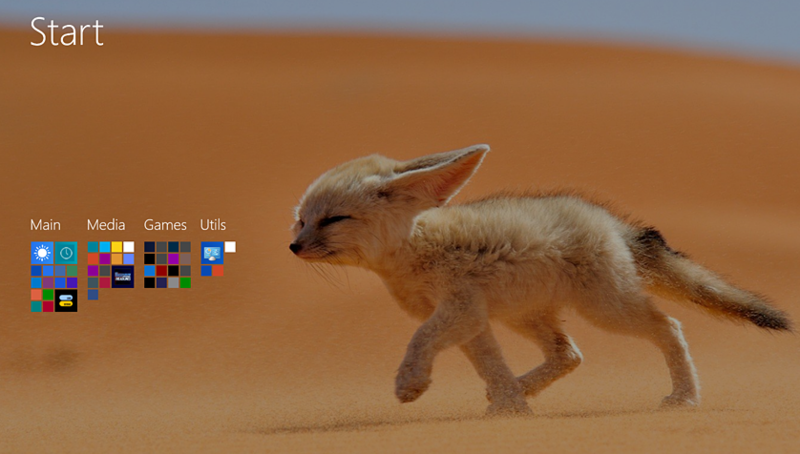 I prefer the familiar task bar to switch between open applications without anything “getting lost” in the background. Well, once Gemini is released, I’ll just shift my mindspace again, but I’d rather the desktop stick around for a while yet, even if it’s hidden from the average user. 4. 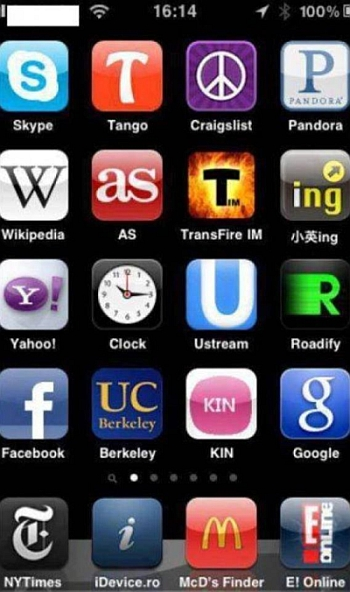 How many apps do you need? 6. 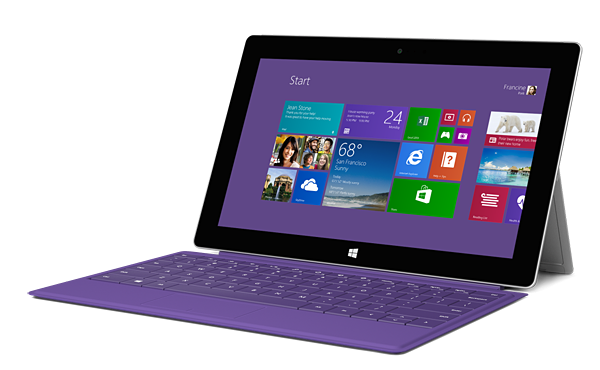 Is the Microsoft Surface 2 right for you? Of course, the Surface as a companion device is quite capable for other things like e-books, web surfing, app games, Skype, and consuming multimedia, but if those three items I listed above aren’t at the top of your list, the Surface isn’t ideal for your use case. Unless you don’t intend on buying the cover-keyboard for Office use, in which case the Flash-enabled browser and a few apps may end up fulfilling your needs anyway; a Surface without keyboard is actually cheaper than an iPad 4. Keep in mind that both Surface lines are hybrids and can cover more than one use case. You may not have considered that you can get rid of both your iPad/Kindle and laptop, but that’s exactly what a good number of users have done, if you read the user reviews and not the pundit editorials. It’s true that you can get certain regular Windows 8 hybrid tablets for about the same price as this, but consider build quality (magnesium, Gorilla glass), battery life, size/weight, added cost of Office, etc. Try to get a hands-on feel at a Microsoft Store or official vendor with demo units. I think students especially would be able to use the Surface to its full potential, but there are some important caveats. If you’re a student and have some online course websites you need to access, be sure to check system requirements or ask your school’s IT department about it. I can say that when briefly testing a trial Adobe Connect account–my graduate school used Adobe Connect for online courses–it worked well enough except that you cannot share desktop (if the Surface is the host, I think) and sharing documents like Powerpoint presentations may be limited if there’s a lot of fancy formatting and animations and such; chat worked fine as well as webcam support, note modules… I didn’t test it in depth, however. If you need any of the above browser support with add-ons, you’re better off getting some other device. The worst part about being forced into IE11 with 8.1 RT is that it’s not compatible with some websites because it’s so new, and you cannot easily mess around with user agent masking as you can with browsers like Opera. Moreover, the user agent string includes a “touch” token that unfortunately breaks certain browser sniffing scripts on some websites that think you’re using a “mobile” stripped browser like Safari on iPad and end up serving you the neutered mobile version of a website instead of the proper full version, but sometimes you can get around that if the website–if created by a competent webmaster–offers mobile/full website option links. There is IE’s compatibility mode, but that’s not always a solution. 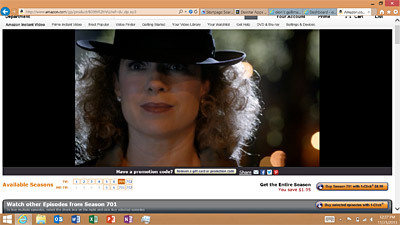 There are two sides to this: Microsoft wants websites to “catch up” to IE11, being the newest major revision in the browser flock, but webmasters need to test their own websites and ensure compatibility with the latest version of IE, particularly with the browser sniffing and auto-redirection scripts. After all, website creators need to realize that just because a device has a touchscreen doesn’t mean it only has a mobile web browser, and that explicit differentiation has only happened with Win8.1 and IE11. If possible, visit a Microsoft store with a list of your most important websites to see if they’ll load fine in the RT version of IE11. If you have any Office feature needs that are missing from the RT version, you’ll have to get a regular Windows device and either pay for Office yourself or use a corporate license from work. What about price? The keyboard cover, while highly recommended (either Touch/Type), can be replaced by a cheaper external keyboard if you wish, but ultimately you need a keyboard to get the most out of the Surface. If you get a matching cover-keyboard, that adds $$$ to the price tag. I do agree with criticism that Microsoft should have more bundle deals, but I suppose the many options make that impractical along with the fact that there are people who don’t want a keyboard most of the time (hint: first generation accessories, which should be cheaper, are compatible with the second generation Surfaces). I can see a number of potential buyers balking at this expense, but it’s entirely worth it to me and others: The value of the complete Surface package is equal to the price tag, in my view. But as mentioned previously, if you want the Flash-enabled web browser and only some basic apps like an ebook reader, and don’t intend on typing a whole lot, you can skip the keyboard and save money over an iPad. Now, the first generation Surface RT is still being sold by Microsoft at this time, and you will wonder why you’d get that instead of the second gen. I had the first generation, and found the performance adequate for my uses. Moreover, I found the single kickstand angle is actually fine, though the additional kickstand angle in the Surface 2 means I can expand my usage scenarios, and you may find the wider kickstand angle is much better than just the original angle (especially if you’re tall). However, there are plenty of folio-type cases on the market that offer multiple viewing angles for the Surface, if you don’t mind added bulk. So why would anyone get the first generation? It’s cheaper. It’s even cheaper if you go with a second-hand used unit or refurbished. It also comes with Windows 8.0 preinstalled instead of 8.1. While 8.1 gave very significant improvements on different fronts, if you don’t need Outlook (Gmail worked fine in IE10), you may prefer Internet Explorer 10 for compatibility reasons (e.g. your banking website) compared to the required Internet Explorer 11 that comes with 8.1. Moreover, the XDA jailbreak only works with Windows RT 8.0 and not 8.1 (“yet”), so if you want to use Audigy or other ARM-ready developer tools out of the box, you should actually stick with the Surface RT and disable autoupdate. There is no guarantee that XDA will be able to crack 8.1 for the same functionality as the original 8.0 jailbreak, as Microsoft apparently took the pains to close virtually all the security loopholes that allowed the first jailbreak. But ignoring the jailbreak issue, first gen Surface RT users report that the 8.1 update noticeably improves performance. I would say that if price is a primary concern, and you still want the slim, compact form factor with decent battery life and MS Office (upgrading to 8.1 will give you Outlook), or if you really want or need to use the XDA jailbreak for certain things, the first generation Surface RT may work out well. Special note: If you buy a Surface RT with the original Windows 8.0 RT, I’d recommend that you create a recovery drive (see Tips) immediately before upgrading to 8.1. This is because once you upgrade to 8.1 RT, the recovery image itself will be changed to version 8.1, and you won’t be able to get back to original factory condition otherwise. Then you can create another recovery drive after upgrading to 8.1. To be perfectly honest, I don’t care if the Surface line never takes off and even peters out. After all, I was part of the less-than-2% Japanese-style subnotebook user base (Fujitsu) in the U.S. for about a decade. Market capture has to start with Microsoft and their long-term goals, and that has nothing to do with me. I’m just happy to have my device, and that’s all that matters as long as warranty and software support continues throughout its life cycle. You would consider a Surface over an iPad or Android tablet if you want more–a device and OS that sits between a Windows laptop and the walled-garden OSes–but also don’t need a regular Windows machine because you have another laptop/desktop. If you find consolidation appealing, which is just the ability to take fewer devices with you when you move around, Surface is a compelling product. That’s not to say other hybrids aren’t just as compelling, but Surface doesn’t get the recognition it deserves for kicking OEM vendors in the pants for early Windows 8 hardware innovation. 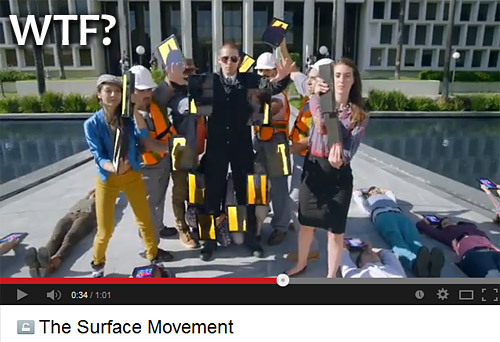 Now some vendors are cloning the Surface, so imitation is flattery, right? Sometime in November 2013, potential buyers of the second generation Microsoft Surface products began to see stock limitations. This alone didn’t mean much, but consider that the second generation Surfaces were released only October 22, and I’m not talking about the pre-release “sell out” with preorders (and backorders). I watched this with some interest because, surely, Microsoft wouldn’t be so idiotic as to let a holiday season pass it by, right? 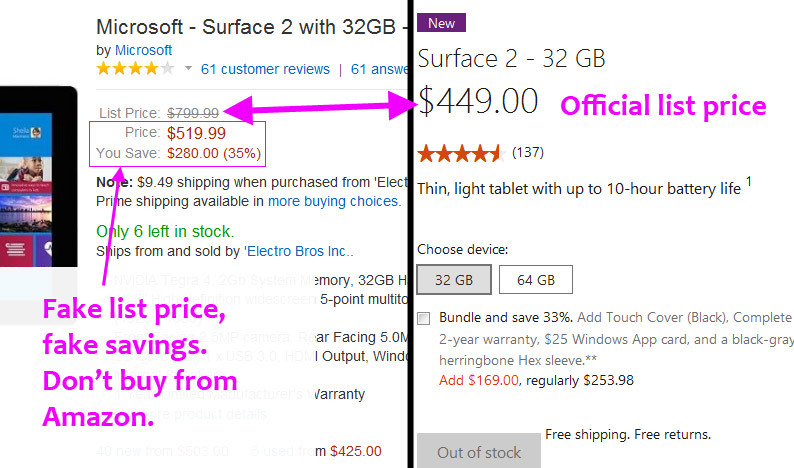 Black Friday in the United States came and went, taking with it large chunks of the first generation Surface RT thanks to heavy discounts at Best Buy and so on, but the second generation availability was quickly exhausted or simply nonexistent except for the most expensive “fringe” Surface Pro 2 units. All of December was essentially met with “sold out” notices across a number of Microsoft’s official retailers, including their own online store. First, Microsoft decided to under-produce Surface stock compared to 2012. This is understandable, and every economist/technologist with any interest in these things fully expected Microsoft to react strongly to the now-infamous write-down. At first blush, this might seem to be a safe business decision. Second, thanks to both improved marketing and product (hardware upgrades, Windows 8.1, and free Outlook RT for Windows RT devices), consumer interest rose comparatively to the first launch. So we have a double whammy of sorts: purposefully low stock and higher consumer interest, compared to the first launch. Now, under normal circumstances, if a consumer couldn’t get her hands on a Surface, she could simply opt for another Windows 8 device, and Microsoft would still “win” in that regard. Some commentators suggested that coinciding the low stock with higher demand allowed Microsoft to rapidly move unsold Surface RT units in the critical Black Friday period, and I think that’s a reasonable assessment. That does not, however, explain continued nonexistence of Surface 2/Pro 2 units after the November Black Friday blitz into December and now January. What I think Microsoft should do: Per warranty exchange issues with the lack of stock, Microsoft should allow exchanges with any other retail-comparable device in their store that happens to be in stock, along with a gift card refund for the Complete warranty if someone bought that. This would be a matter of goodwill, really, and because the exchange would be for another Windows 8 device, Microsoft still “wins.” Right now, there is no word anywhere as to Microsoft’s plans for increasing stock levels to where they should be. How about the new owners? 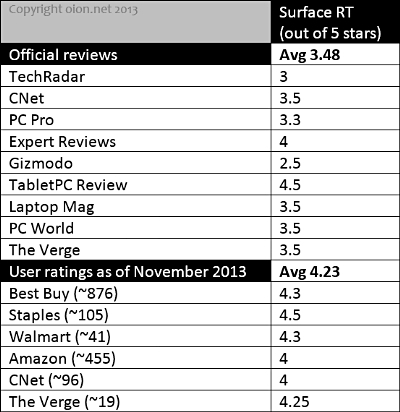 I did a small graphical survey of U.S. user reviews across the internet to see where the average review ratings currently sit after the holiday season, specifically for the Surface 2 because that has higher adoption resistance compared to the Pro line. It’s still early (and not helped by the general low stock issue), but actual user reviews paint a pretty picture compared to the “pundit” reviews for second generation Surface. Certain official MS vendor sites like Staples do not have a significant number of reviews to count yet–only 13 for the Surface 2 last I checked (4.5 stars). 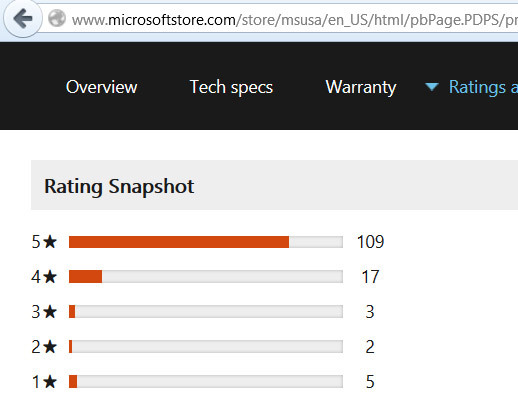 4.6/5 star average on Microsoft’s store website. 4.2/5 stars average at Best Buy. 4.2/5 stars average on Amazon. 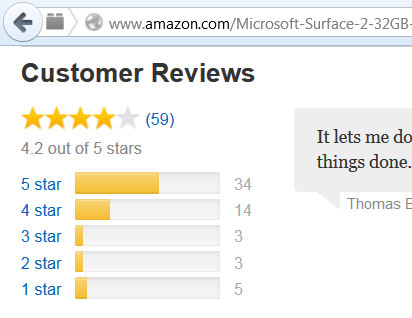 Now, I think it’s important to stress that Amazon is not an official Microsoft Surface vendor. Only third party “marketplace” sellers who bought Surface units from official MS vendors or MS itself are selling these on Amazon, and they significantly increase the price while lying about the official list price. Because of this highly dubious practice, a handful of reviews are actually only 1-star as some users attempt to educate other buyers that the Amazon price is completely out of line–the problem with this practice is that many potential buyers only interpret the star rating as indicative of the product itself (which it should be) and not the underlying purchase service. What that means is that removing the non-product ratings about the Amazon 3rd party thieves, and considering that people would be happier buying a “cheaper” product (compared to official prices), the Amazon rating is realistically higher. I don’t recommend buying a Surface from Amazon for the above reason, though if you were truly desperate due to the stock problem, just keep in mind that you’d be paying extra. We’ll see what happens by the end of this year, 2014. The power cover is still supposed to be coming, and with Microsoft’s purchase of Nokia, there may be additional Surface models coming down the pike.